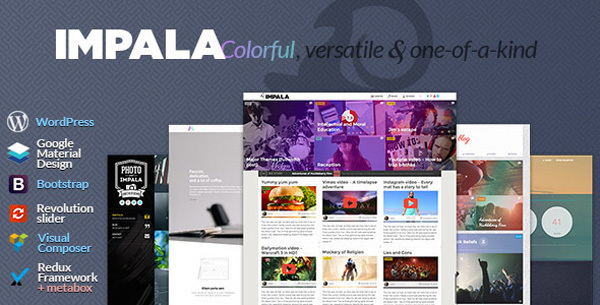 Impala is a modern flat-gradient, super flexible, fully responsive WordPress Theme and tries to apply google material design principles.Suited for Magazines, Online Portfolios, Agency and Business websites, Blogs, Coming soon pages. It will give you control over layout, styling, gradient, colors, transparent patterns, fonts, icons, images position and so on. Build easily your own design with all elements using drag and drop, or import one of demos from settings.